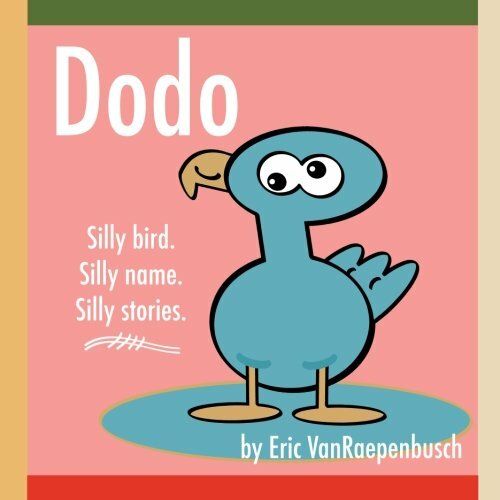 Eric VanRaepenbusch, Author-Illustrator, Storyteller, Blogger: The origin story of DODO: SILLY BIRD. SILLY NAME. SILLY STORIES. 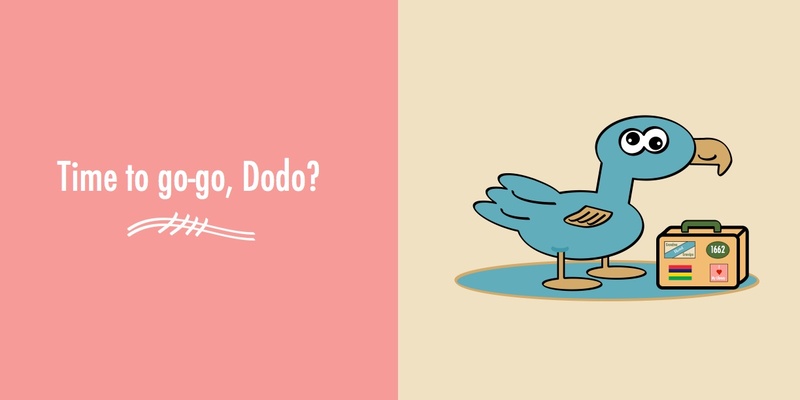 The origin story of DODO: SILLY BIRD. SILLY NAME. SILLY STORIES. Dodo: Silly Bird. Silly Name. Silly Stories. is now available on Amazon! 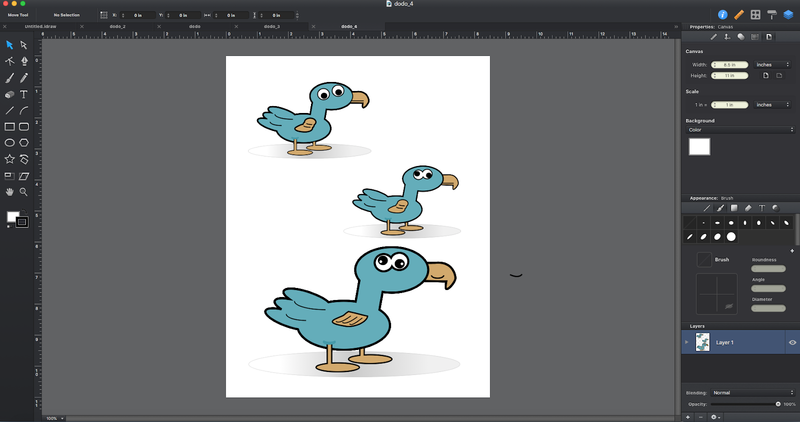 Dodo: Silly Bird. Silly Name. Silly Stories. is my ninth book. In it you will find three silly stories, 62 full-color pages, and tons of laughs! The first story is Uh-oh, Dodo. 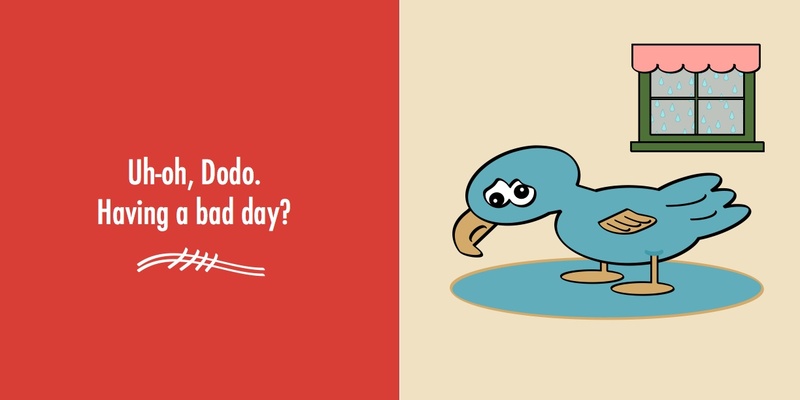 Dodo is having a bad day. Many things are going wrong. It's raining outside. Dodo's tower of blocks fell down. Dodo forgot to charge his tablet too. 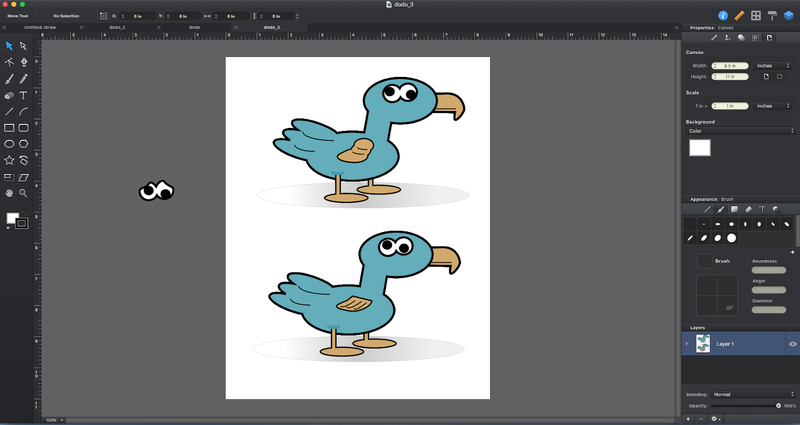 Dodo is very sad until something finally puts on smile on Dodo's beak. 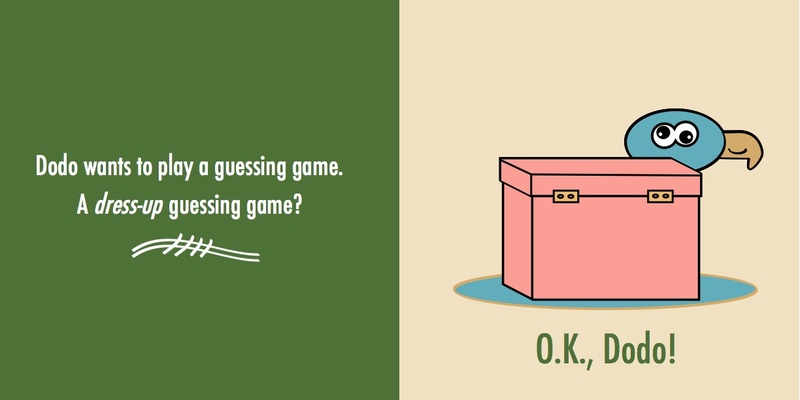 The second story is No. No. Dodo!. Dodo plays a dress-up guessing game. Will Dodo dress like a cowboy? A dinosaur? Maybe a ballerina? Dodo is very silly especially at the end of the game. It's fair to say that Dodo planned a grand finale for the last costume. 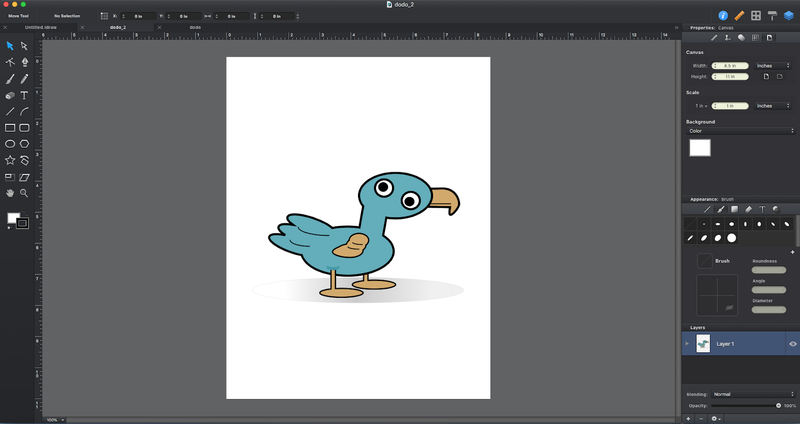 I was disappointed but only for a few moments because my mind shifted to another bird that has a similar name -- a dodo. It is hard not to smile when saying momo and dodo and I realized that there were many other words like go-go, no-no, ho ho, so-so, yo-yo, and uh-oh that were fun to say too. During my school visits I suggest to students of all ages, write all your ideas in a journal and you never know what might happen! Ideas are always safe in your journal. If you write them down you will always have them. Sometimes you will look back at the things you wrote down and think they are good. Sometimes you will think that they are not good, but it really doesn't matter in a journal. The important thing is to write them down. That night I followed my own advice and wrote in my journal about ducky momo, dodo, and the fun words. This ended up being an idea that was a good one and I wouldn't stop thinking about it until it became a finished book. The page from my journal. I thought about dodo for many months but never wrote anything more. 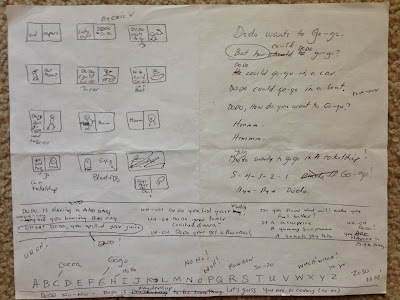 I knew the idea had potential to be a book with three stories featuring the words go-go, no-no, and slow-slow (later changed to uh-oh). My best writing happens in my head and this is what happened with this book. 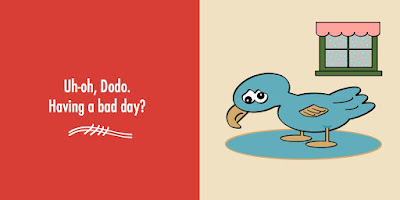 I thought about Dodo so much that when I finally sat down to write the words it came out with ease. I was on a school visit and had over an hour to eat lunch. The school visit was going better than expected. I was feeling really good. 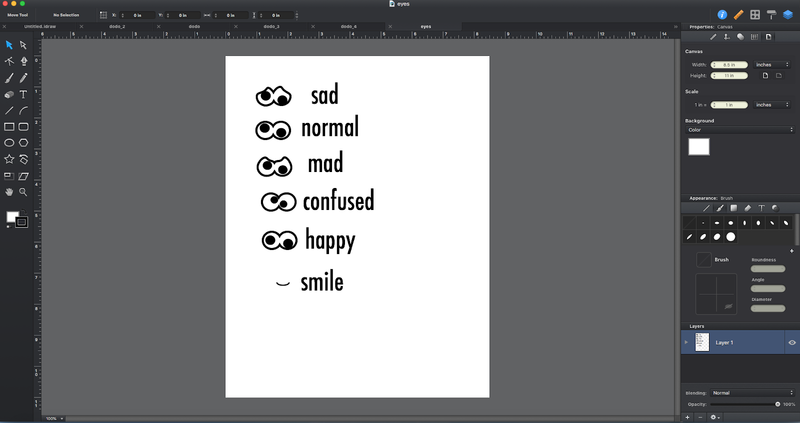 I guess I inspired myself. After talking with the students about writing all morning I wanted to write. My creative energy was at an all-time high. I felt like I could do anything. After a quick lunch at Subway I went to the public library. I found a pen and a scrap piece of paper in my van. I went right to the children's section of the library, grabbed a few of Chris Raschka's Thingy Things books to read before I started writing, and then I wrote three stories about Dodo. I loved it! All those random thoughts and ideas and words in my head actually came out in an organized, understandable, and workable manuscript. 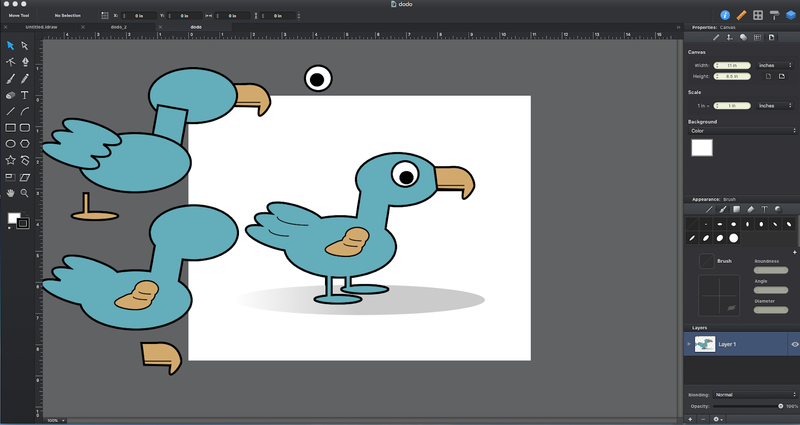 I couldn't wait to start on the illustrations. My first drawing of Dodo. I thought it was too mean. 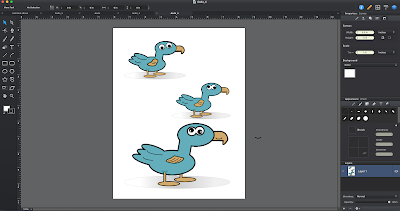 These illustrations of Dodo were more playful, but I didn't like them. I experimented with the stamping technique I used for More. More! MORE! Dandelions but I didn't like the results. I even tried googily eyes, but it didn't feel right. I decided it would best to illustrate this book digitally like my Three Ghost Friends books. I knew from the moment I started working on the computer that it was the right choice. 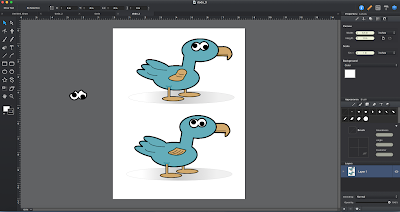 Below is the development of Dodo using Graphic 3.1 for Mac. From this point on, I worked only on my desktop computer to create the illustrations and refine the text. 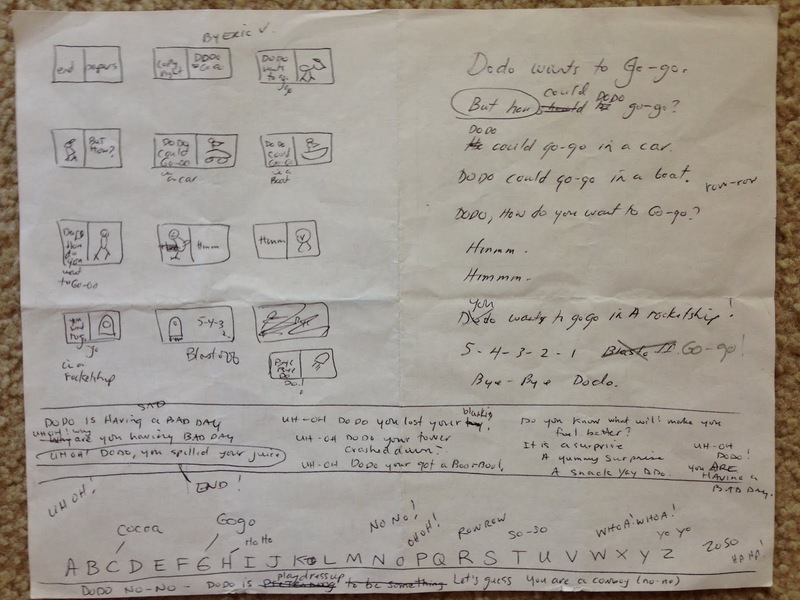 The most common question I get is, "How long does it take you to make a book?" I am beyond happy with this book. I think you will like it too.